The 11th annual Civil Service Awards will be presented on Thursday 24 November, acknowledging excellence and innovation in public service. We asked the shortlisted nominees for their reactions to this recognition. Here are some of their responses. The aim of the PPS is to be recognised as providing a first-class prosecution service for the people of Northern Ireland. The prosecutors who led this project and delivered such outstanding results are exemplars of that standard. We are delighted that their dedication and achievements have been recognised through the shortlisting for this prestigious award. It is a privilege to have been nominated for this award. The implementation of this project required a huge team effort with real dedication from each of us. To be nominated for this award feels like true recognition for all our hard work. The team were overwhelmed to hear that we had been shortlisted, especially against such strong competition. Everyone involved worked tirelessly to develop and deliver such an imaginative and integrated campaign and I am so pleased that their efforts have been recognised in this way. 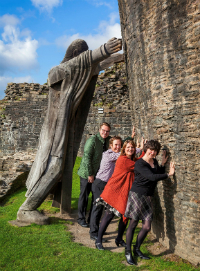 The team’s work on the ‘Pack your Imagination’ campaign has really sparked a new direction for future Cadw communications. We have previously been considered very traditional in our approach to communications and so this creative, multi-media channels approach was both brave and bold but came with the potential for big rewards. The campaign has been a huge success and exceeded all expectations, with the 45% visitor growth at our amazing sites the icing on the cake. 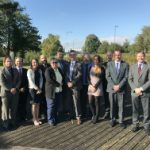 It is a great honour to have the CBRN Delivery Team nominated for a Civil Service Award, especially when compared against such outstanding other nominations. This has been very much a team effort, which extends beyond those who are attending the event and includes our suppliers, military personnel and scientific advisors. Our nomination is for the commitment and dedication shown from the team to equip and support our armed forces with lifesaving chemical, biological and radiological protective capabilities. The team successfully delivered eight projects within extremely challenging timescales and inside the approved budget, while meeting demanding operational performance requirements. This shortlisting is fantastic, as it acknowledges and celebrates the plant health profession for the first time and values important work the plant health service is doing to protect plants and trees across the UK. 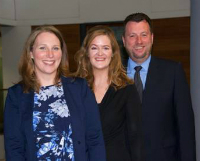 It has been great to see the workforce take on this new professional register so willingly and it has raised our ambition and aspiration to inspire the next generation of plant health professionals. Creating and establishing a new professional register for plant health, together with a recognised career path, has never been done before anywhere in the world. It has also never been more important that we have the capacity and capability to protect our plants and trees against increasing threats from pests and diseases, and this work will help build a sustainable professional workforce for the future. We are thrilled to be shortlisted and to be considered against the very impressive achievements of the other organisations in our category. We have been heartened by the best wishes from Natural England colleagues across the whole country and are really proud to represent them, and our whole organisation, at these prestigious awards. Our nomination reflects our small contribution to the work of strong and vibrant working partnerships on the Humber: including the Enterprise Partnership, the Nature Partnership, the local authorities and the non-government conservation organisations. We all think we can achieve great things better together for the area, and demonstrate that we can secure both significant economic growth whilst conserving one of the most significant wildlife sites in the country. 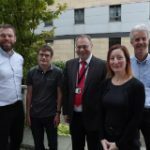 It’s great for the team to be recognised for the hard work we have done, and makes us proud to work for HMRC. 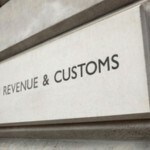 The redesign of the P2 [tax coding notice] makes things simpler, provides more clarity and is easier for our customers to understand, which is a core aim of HMRC and of the Civil Service as a whole. It was a pleasant surprise when I found out that I had been nominated by a fellow civil servant for the award. But to actually get shortlisted is something I am extremely proud of. 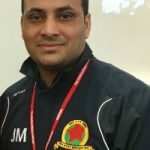 I have done voluntary work for over 20 years and have always tried to engage young people through football and promoting community cohesion. I hope I can continue to be an inspiration for the young people, and to promote the Civil Service positively to the wider community.